This is my Favorite Movies of 2014 list (along with a second opinion from Midwestern correspondent Eric Sweeney). What a great year it was for movies. Even as I assembled this list, I struggled to find a proper order for them as it was such a strong crop to pick from this year (admittedly this list could be reshuffled on any given day). There are still quite a few movies that I haven’t gotten around to seeing yet (I really want to see The Imitation Game and Nightcrawler, but haven’t had a chance) so no yelling about your favorite film being excluded if it appears on the haven’t seen yet list at the bottom*. If it didn’t make either of those lists, then have at it with the internet yelling. 1. 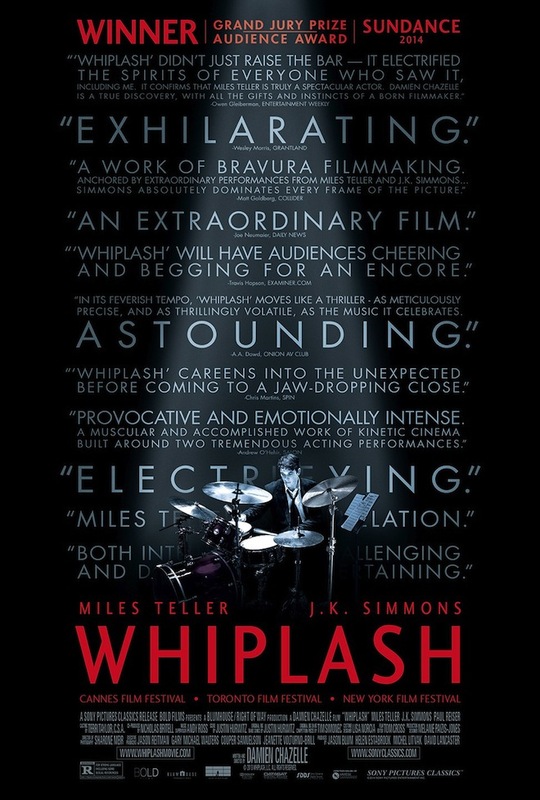 Whiplash – The last ten minutes of this movie were by far the most compelling and intense moments I witnessed on screen this year (the Raid 2’s kitchen fight might be equal, but it’s more impressive in the context of a relatively bloodless movie about jazz). Whiplash is fantastic and I hope J.K. Simmons wins an Oscar for his performance once award season rolls around. There are so many things in the last ten minutes that I’d love to rave about, even seemingly small decisions made by writer/director Damien Chazelle, but I don’t want to spoil too much. Go see it in theaters while you can. It is an outstanding film. 2. Guardians of the Galaxy – What was once projected to be Marvel’s first bomb at the box office turned out to be the year’s most pleasant surprise, succeeding both with critics and fans alike. Some questioned handing off such a large franchise to filmmaker James Gunn, whose credentials were more indy-oriented, but much like when the LOTR franchise was handed off to fellow morbid kindred spirit Peter Jackson, it worked out beautifully. 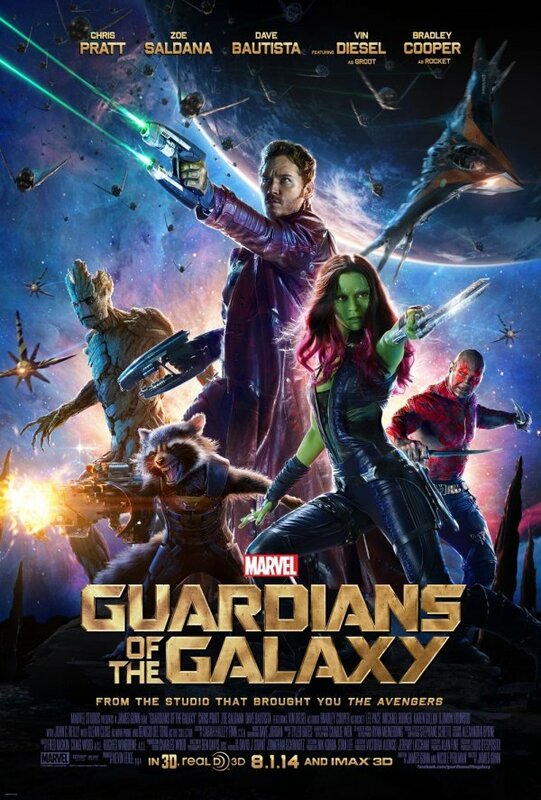 Guardians is fun and entertaining and that’s about all you can ask for in a summer blockbuster. It’s not a high brow movie that will head many top 10 lists, but I don’t care. Hopefully Gunn’s success will ease the minds of nervous studio heads who have recently handed over large summer products to lesser known directors (Colin Trevorrow directing Jurassic World, Rian Johnson tapped to finish episode 8 and 9 of Star Wars and Josh Trank helming the Fantastic Four reboot along with a Star Wars spinoff of his own) and open up the door for other rising talents. 3. Interstellar – Interstellar easily wins the most devastating checking of an answer machine award (I honestly don’t know what sort of competition it has for that award though, Little Miss Sunshine?) and also deserves some consideration for the best space movie with semi-plausible/well researched science behind it award. I’m a sucker for space travel movies, so it’s not surprising that I thoroughly enjoyed this sc-fi opus. 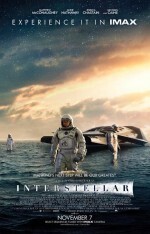 While Interstellar had some noticeable blemishes (there were more than a few head scratching moments), I’d say the good things far outweighed the bad; a killer score, great effects, a solid cast, surprise Matt Damon cameos (potentially gearing up for his role in the Martian later this year?) and walking Tetris blocks round out the good. 4. Calvary – Calvary is choppy, disjointed and in giving with the McDonaugh brothers tendency to write witty scripts that read like plays, but I enjoy their style. 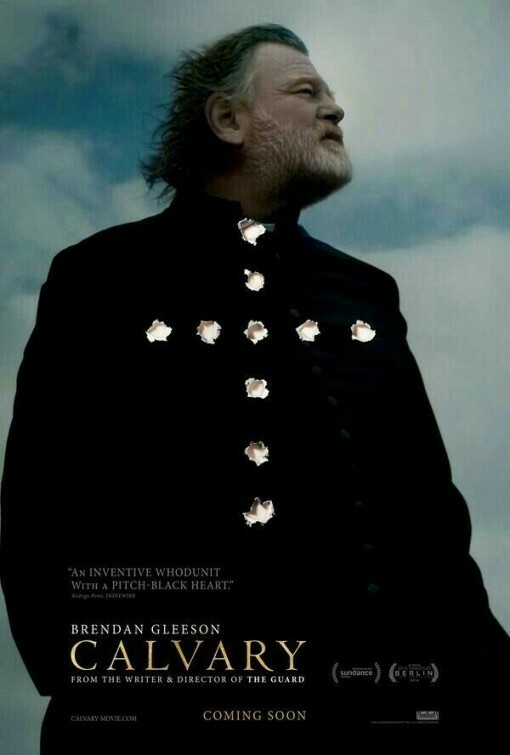 It stands as a solemn film, anchored by a stellar performance from Brendan Gleeson who plays a priests that struggles to get his affairs in order after receiving a death threat. Set against the distinctly ominous landscape of Sligo, Ireland, Calvary is a bleak exploration of personal pain and the various ways we choose to hide it from others. Gleeson’s performance is a quiet and restrained one and will be overlooked come award season due to its relative lack of showy and fiery sermons, but I think it’s the best performance (Michael Keaton, J.K. Simmons and Rosamund Pike are in the mix, too) that I saw on screen this year. Oh, but what a very sad and haunting ending this film has. Good lord. 5. Snowpiercer – As this was my most anticipated movie of 2014, I had already convinced myself that I loved it even before I saw a single frame, so it’s possible there might have been some bias in play. Snowpiercer was another film that could be considered a surprise hit (albeit on a smaller scale), garnering a lot of positive attention after Miramax essentially tried to bury it in limited release and VOD. In an earlier post I cataloged how much I liked this movie, so I won’t really get into it again, but I don’t think it’s any coincidence that two of my favorite directors found their way into my top five this year. Joon-ho Bong and Christopher Nolan consistently put out movies that I find interesting and engaging on a number of levels. 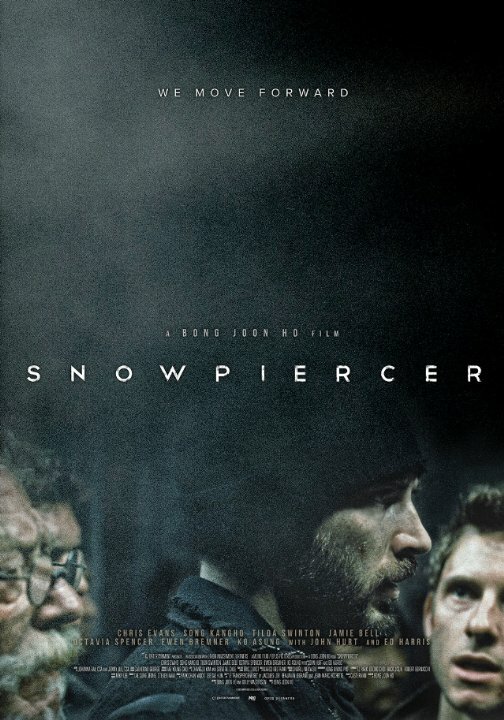 I know Snowpiercer wasn’t for everyone and seemed to produce some rather divisive opinions amongst viewers, which I understand, but I thought it was great. Tilda Swinton hamming it up as Minister Mason? Easily worth the price of admission. 6. 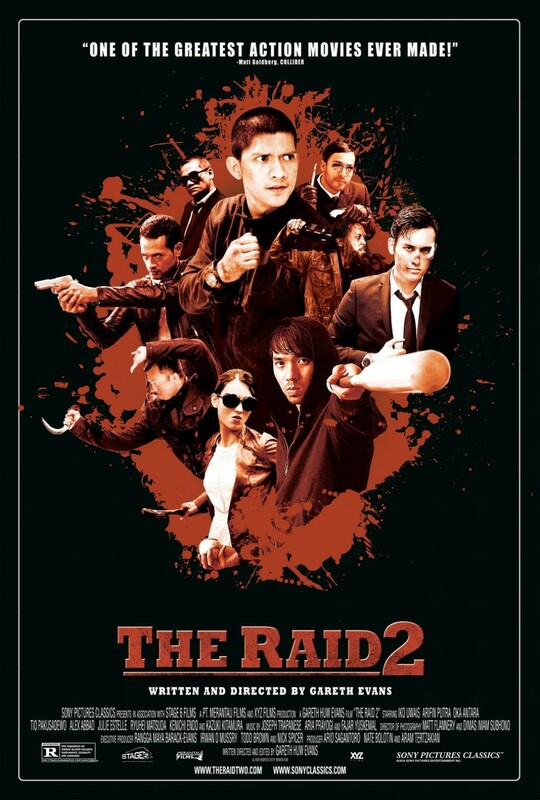 The Raid 2 – The Raid 2 was definitely the best action movie of the year (with some serious consideration for best all-time, too), a blistering, violent gang epic from the mind of rising action director Gareth Evans and his talented cast of Indonesian martial arts stars. I was ridiculously excited going into the theater to see The Raid 2 and left with the same buzz I entered with, which is a rare feat these days. Admittedly, the movie is too ambitious for its own good at times and could stand to lose twenty five minutes from its run time (along with a subplot or two), but those minors qualms are erased by the insanity that is the last hour of this movie. If you don’t mind heaps of gratuitous violence and want to see what has to be one of the best fight scenes of all time, then the Raid 2 is for you. 7. 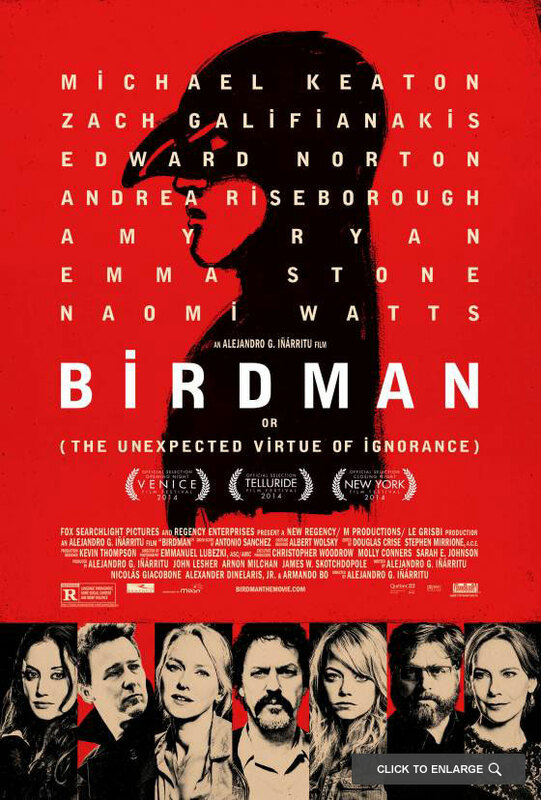 Birdman – Michael Keaton is excellent in this movie. Well, everyone who gets significant screen time in Birdman is excellent, but that’s besides the point. All signs point to director Alejandro González Iñárritu picking up some technical mastery from his good friend Alfonso Cuarón (along with borrowing his DP Emmanuel Lubezki), as the majority of the film is brilliantly constructed and edited together to appear as one long seamless tracking shot. Technical mastery aside, Keaton is the showpiece and he is the best he’s ever been as washed up star Riggan Thompson. What a great role and performance from him (especially considering the semi-autobiographical nature of the material). Hopefully we’ll see more of him on the big screen once again. He has been missed. 8. 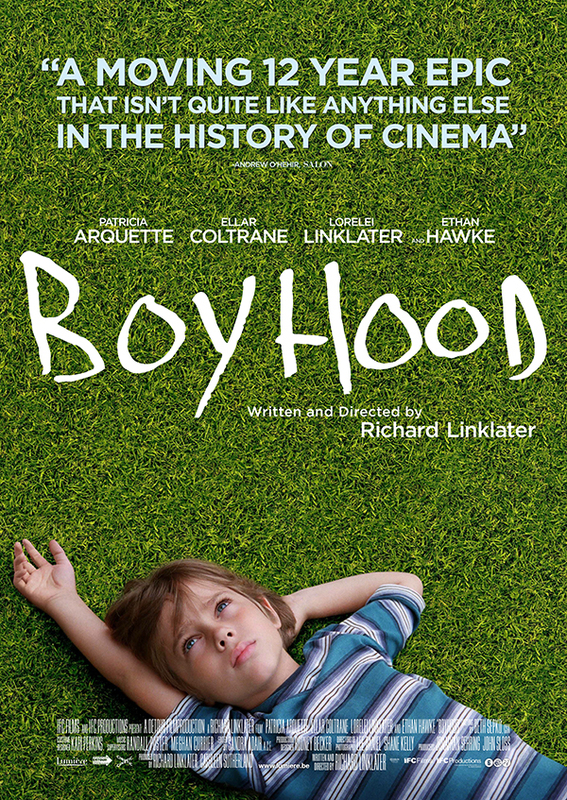 Boyhood – Boyhood is unique. Other than the 7 Up documentary series, I can’t think of anything quite like it, and the result is mesmerizing. Linklater should be commended for such an ambitious and poignant project. It’s a fantastic film beyond the perceived gimmick and I’d be surprised if you didn’t find yourself still seated long after the credits have rolled, contemplating the many odd twists and turns of your own life. 9. 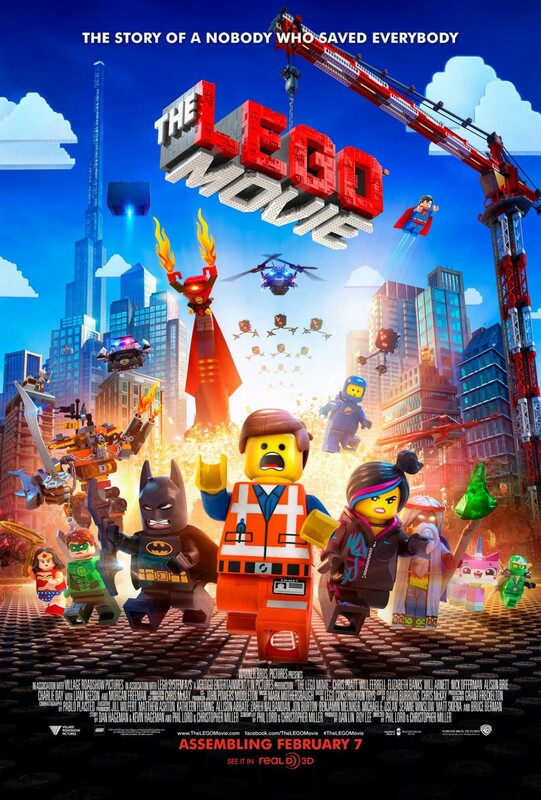 The Lego Movie – The Lego Movie is the best animated movie of the year and also one of the funniest. Everything from the animation to the jokes to the more heartfelt moments work well. It’s the epitome of clever and evokes some comparable moments to Toy Story without feeling too derivative. This could have been terrible, but isn’t. It’s wonderful. 10. Gone Girl – David Fincher’s near perfect adaptation of Gillian Flynn’s best selling novel was a great showcase for Rosamund Pike, who was tasked with playing the role of the infamous ‘Amazing Amy’ Dunne. Kudos to her and Fincher for pulling off what should have been very tough material to adapt and making it look easy. And even though it was a thankless role, credit to Ben Affleck, too. He nailed the feel of scummy old Nick Dunne. Also, as strange as it sounds, Tyler Perry was really good as Tanner Bolt. Seriously. 11. Edge of Tomorrow – This film is much better than it should have been, bolstered by the supremely wise decision to sprinkle the script with humor instead of rolling out the bleak Nolan-esque fare it was most likely destined for. It’s a shame it struggled at the box office, but hopefully it will get a second life on DVD (if they stop renaming it that is). If you want to check out a solid sci-fi movie, give it a shot. 12. 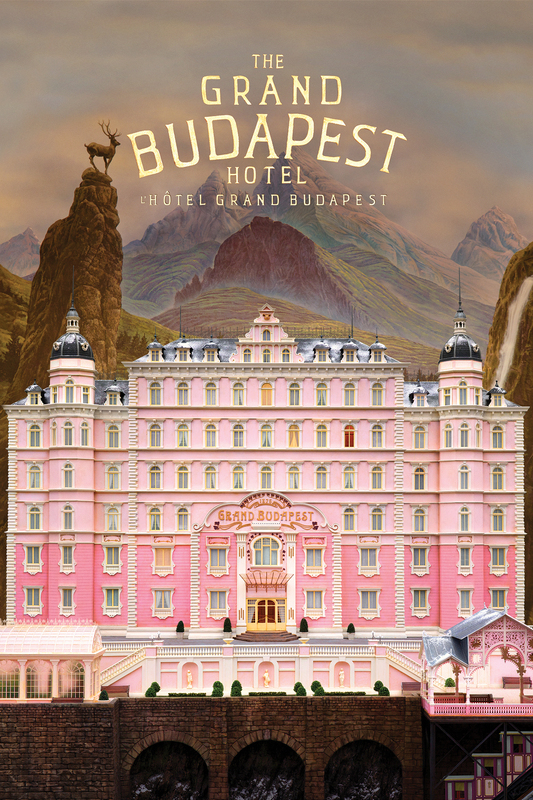 The Grand Budapest Hotel – I think at this point people know whether or not they like Wes Anderson’s movies. I do, and thought this one was delightful. 13. 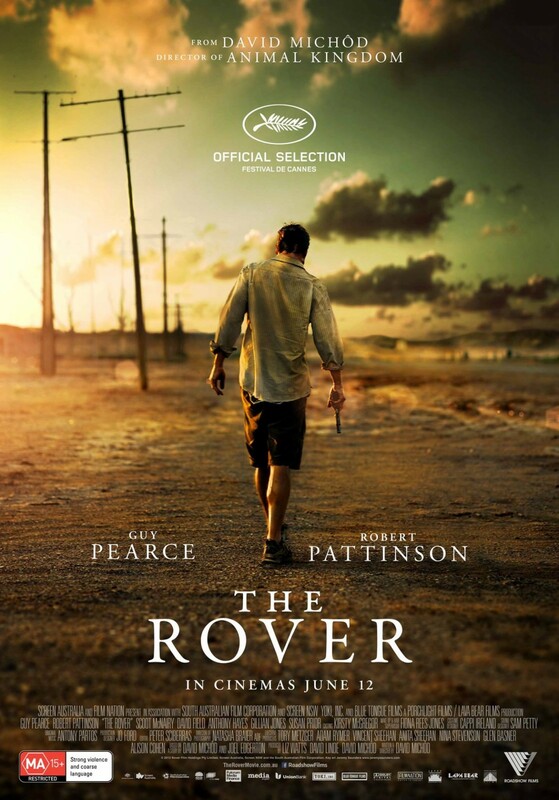 The Rover – Guy Pearce stars in this semi-dystopian companion piece to The Proposition as a drifter who is dead set on getting his truck back after it’s stolen. I’m a big supporter of Guy Pearce and admired the scuzzy ego-free performance he turned in as the film’s drifter, a role that most actors wouldn’t have even entertained playing. The Rover is an undeniably bleak, dusty, dirty and depressing movie, so stay away from this one if you’re looking for feel good material. This is not it. And for all the hate Robert Pattinson gets, he was actually solid in this movie. It’s tough not to feel sympathy for his tragic dim-witted character of Rey. 14. The Hobbit: Battle of the Five Armies – This CG heavy conclusion to the Middle Earth story certainly seemed to be losing a bit of steam and direction as it came to a close, but there were still some things to like. Martin Freeman continued to be a reliable anchor for the series, the opening scene was thrilling and the battle scenes were executed on a grand scale, but it was tough not to feel the tapestry of Middle Earth starting to fray. I love this series and all its entries, but some of its troubling tendencies were becoming harder to ignore. A entirely CG dwarf character? Why? A guy that turns into a giant bear only getting seven seconds of screen time in an epic battle scene? Also why? Three movies for a skinny paperback? Explain? Had High Expectations For: The Drop. I really wanted to like it, but was ultimately a bit disappointed. Tom Hardy was great in it and so are the last fifteen minutes of the movie, but as a whole it seemed messy. I think I need to give it another shot though. Worst Movie: I’m don’t want to linger too much on the negative, but what the hell happened with Transcendence? It was awful. And Pompei, too. You shouldn’t be allowed to plagiarize that much of Gladiator and not call your movie Gladiator 2: Jon Snow’s Revenge. Equally terrible. 1. 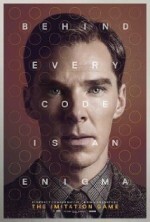 Imitation Game – Who knew cryptography could be so thrilling? Great and engaging biopic, with Cumberbatch bringing in a perfect performance that should get him a nomination. 2. 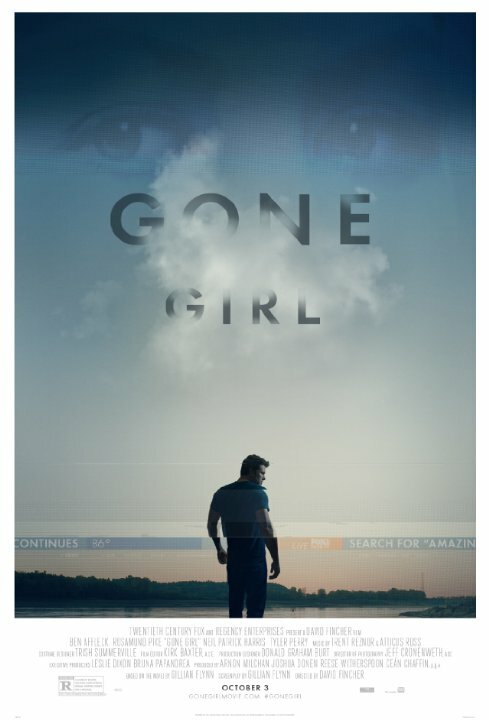 Gone Girl – Great book and perhaps even a better movie. David Fincher nails it again, and Affleck/Pike are great as well. Almost every character is cast perfectly as well. 3. 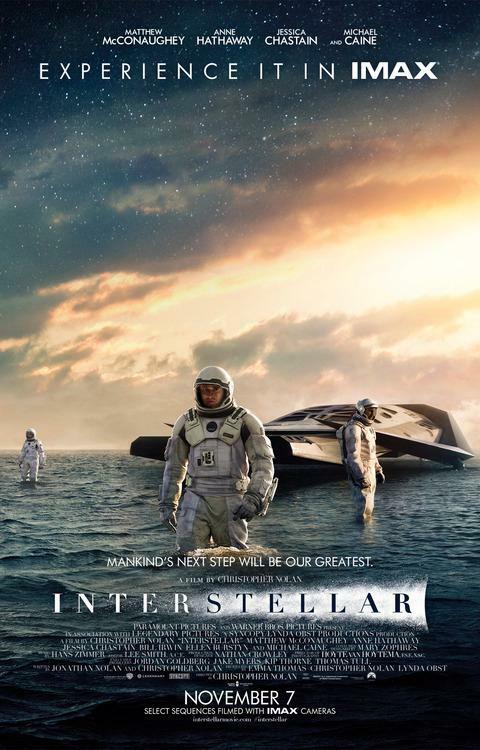 Interstellar – Thrilling epic film that left me thinking about it for weeks. Some minor plot contrivances are overshadowed by great suspense and action sequences. Beautiful cinematography as well as a grand score by Hans Zimmer. 4. Foxcatcher – A long and slow story, but great performances. I also didn’t know the true story, and while I knew there was tragedy in the end, I didn’t know who or what, so I probably enjoyed it more because of it. 5. 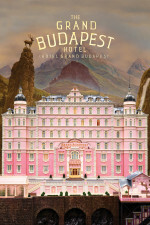 The Grand Budapest Hotel – Another great Wes Anderson movie. This guy is on a roll. 6. 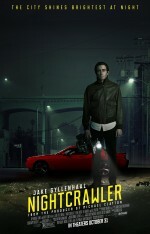 Nightcrawler – Really want to watch this again. Gyllenhaal puts in his best performance ever in a very dark and troubling character who’s chasing the American dream. 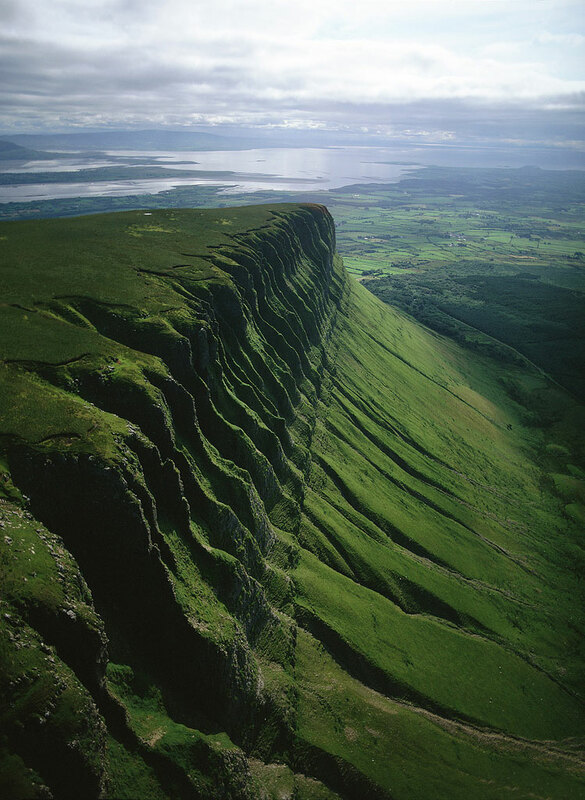 Beautifully shot as well. 7. Guardians of the Galaxy – Marvel is on fire. 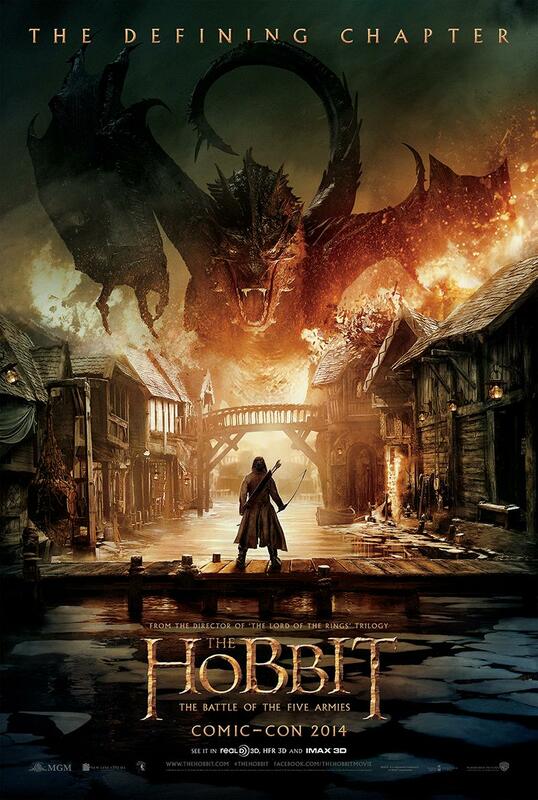 A crazy premise with characters no one’s ever heard of, and it became the highest grossing film of the year. It’s a lot of fun and pretty damn funny too. 8. 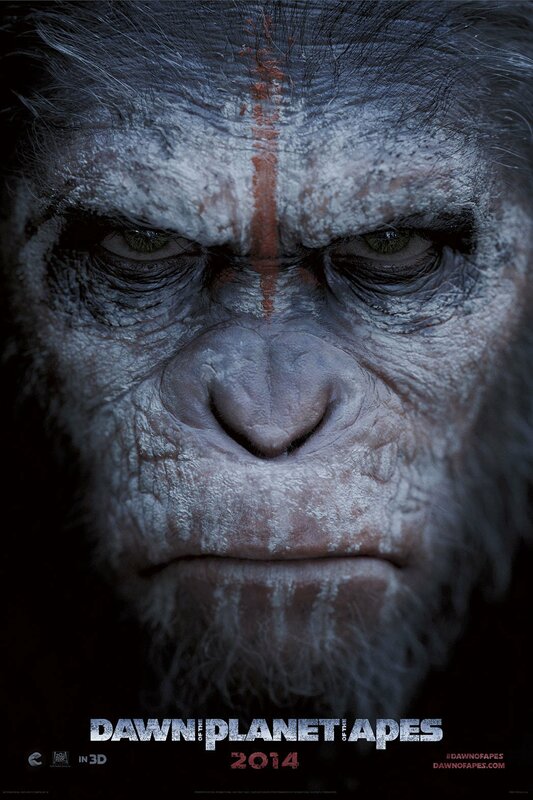 Dawn of the Planet of the Apes – Enjoyed this film even more than the first one. Some great sequences with another great score, and of course Andy Serkis. 9. 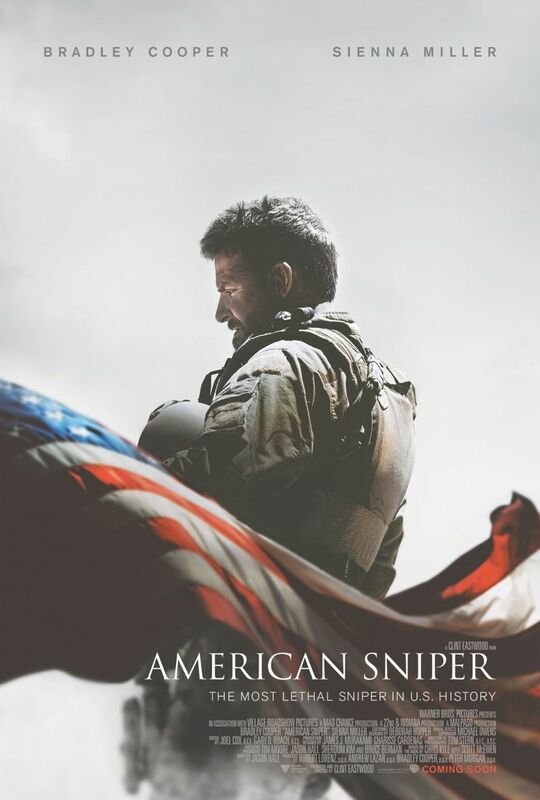 American Sniper – I knew the story but never read the book, and was impressed with what Eastwood did. I didn’t like the rushed and abbreviated ending, but everything before that was great. Cooper was solid, and the many war sequences were well done. 10. 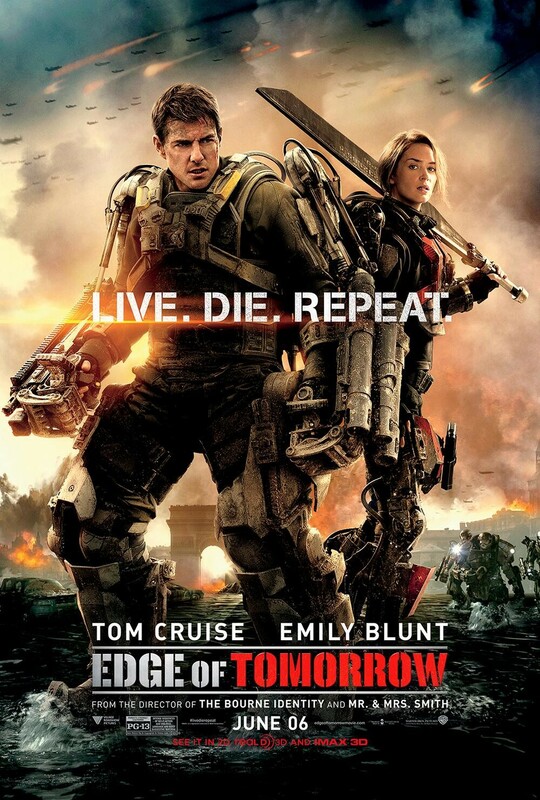 Edge of Tomorrow – Surprisingly solid action film with a unique plot device, with Cruise and Blunt doing awesome things. I don’t care for Cruise the person, but he’s a great actor and does great with this role. This will be a movie that when I see it on TV in the future, I’ll probably stop and watch the rest of it no matter what. This entry was tagged 2014 Movie Lists, Best Movies of 2014, Brendan Gleeson, Calvary, Great performances of 2014, How Many Days Until Furious 7?, How Many Days Until Star Wars Comes Out?.